Every step of the journey. Your happy family starts here. Few things are more wonderful than starting a family. But for some of us, the road to having a baby isn’t so simple. 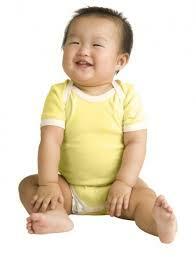 At the Egg Asiancy,we specialize in helping Asian couples who are having difficulties conceiving naturally. With medical know-how, a team of fabulous donors and a whole lot of dedication, we’re here to turn dreams into a reality. None of this would be possible without our inspirational donors – women who are committed to making this happen for you. We call them our Asiancy Angels – a name they really do deserve! Together, we’re ready to work as a team – and we’re firmly focused on helping you get the family you want. Our prospective parents aren’t just another face in the crowd. Likewise, our Asiancy Angels aren’t a simple statistic. We’re all people, and we make sure that both our recipients and egg donors are treated with respect, care and occasional episodes of deep admiration! We focus solely on Asian egg donors, which makes the matching process that much easier. All our egg donors are carefully screened, and we take privacy and anonymity very seriously indeed. Both donors and prospective parents (or gestational carriers) are closely monitored throughout the entire process. We’ve got our eyes focused firmly on getting you the best possible results. But hey, it’s not all about the ladies, right? Single and gay male prospective parents can also use IVF to complete their family. If you’ve got the love, dedication and desire to be a parent, we’re here to help you. Having a baby is a joyful experience, but for some of us, it’s not always an easy process. However, just by visiting our site, you’re taking that all-important first step – and we’re here to help you achieve your dreams of starting a family. That’s what we do! If you’re reading this, you’re probably interested in becoming a donor. Which in our book, makes you officially an amazing person. Thank you! Becoming an Asiancy Angel is a really big deal, and helps to make dreams come true. After all, you’re helping a couple become a family… is there any greater gift in the world?